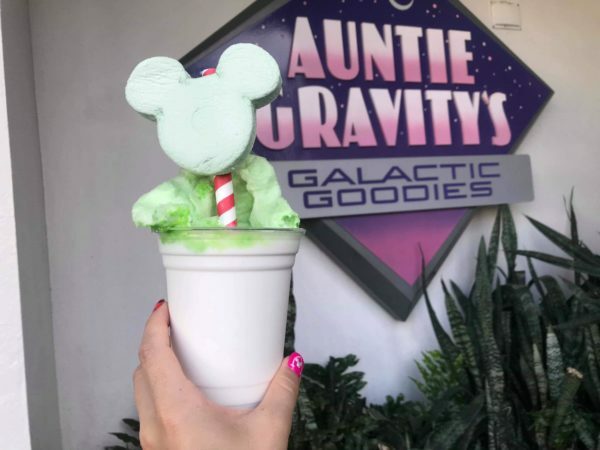 A classic Magic Kingdom treat has gotten a makeover for the Holidays! Over at Sleepy Hollow Refreshments in Liberty Square, the waffle sundae is dressed up for Christmas, sporting festive sprinkles. The biggest change though is the waffle itself. The traditional waffle has been transformed. What’s better than plain waffles? Red Velvet waffles of course! Topped with a mountain of whipped cream this deliciously festive treat is sure to satisfy your sweet tooth! As if this sundae couldn’t get any better, it is also adorned with everyone’s favorite ghost dog- Zero. This should put an end to the age-old question: Is Nightmare Before Christmas a Halloween movie or a Christmas movie? The answer is clearly both! You can pick one of these decadent desserts up for $6.49 (+tax) or use a snack credit if you are on the Disney dining plan. Are you as excited as we are about this festive holiday offering? Have you tried it yet? Let us know what you think!